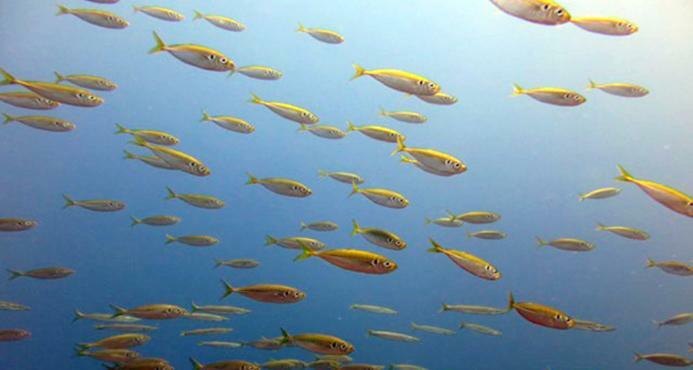 A research group led by YAMAMOTO Satoshi, a research fellow at the Kobe University Graduate School of Human Development and Environment, has shown that measuring quantities of fish DNA in seawater can reveal how many fish inhabit that environment. This discovery could enable quicker and more effective surveys of fish distribution, and has potential applications in long-term monitoring. The findings will be published on March 3 in the online science journal "PLOS ONE". Until now, the distribution of marine species was calculated using two main methods: fish capture and fish finder equipment. However, these survey methods involve heavy costs in time and manpower, and specialist knowledge is required to use the measuring apparatus. On the other hand, a method was already available for determining whether the target fish inhabit a certain area of water: analysis of the fish DNA released into the water. Doctor YAMAMOTO's research group took this a step further, testing whether it was possible to discover the location of fish and size of their schools by measuring the amounts of DNA released into the environment (known as environmental DNA, or eDNA). In June 2014, a research group led by YAMAMOTO Satoshi (Kobe University research fellow), MINAMI Kenji (Specially Appointed Assistant Professor at Hokkaido University), and FUKAYA Keiichi (Project Assistant Professor at the Institute of Statistical Mathematics) collected 1-liter samples of surface water and bottom water from 47 locations in Maizuru bay, and estimated the concentration of eDNA of Japanese jack mackerel using real-time PCR. As a result of comparison between the eDNA concentration in the 47 locations and the biomass of Japanese jack mackerel that was simultaneously measured during water collection using fish finder equipment, they discovered that the eDNA concentration of a location reflected the biomass within 10-150 meters of the location. This proves that environmental DNA reflects the biomass of the target fish species, and environmental DNA analysis methods can be used to quantitatively measure the distribution and school size of saltwater fish. This method is simple, requires no specialist knowledge, and can be used for large-scale surveys over a short period of time. These features also make it suitable for long-term monitoring. The method has the potential to drastically improve efficiency for surveys of the amount and distribution of marine resources.